Plastic topper for use with a mega tree. 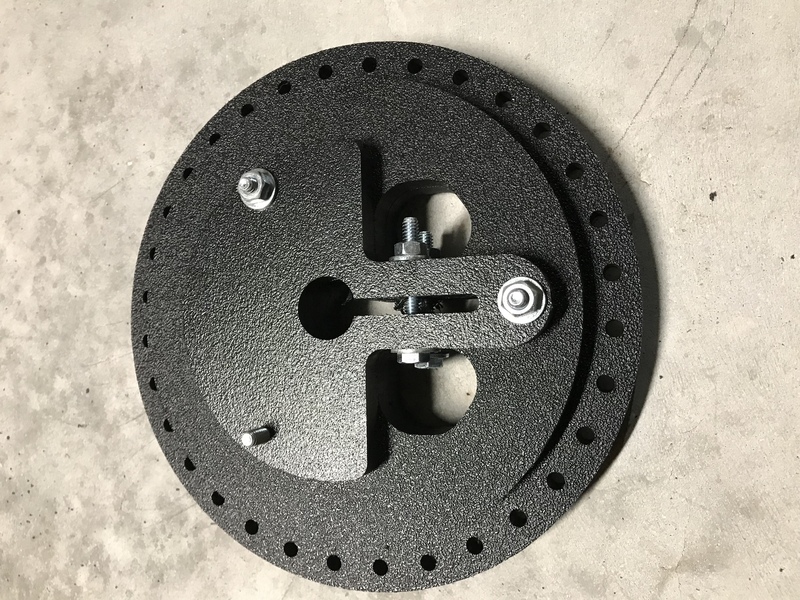 Topper has a center whole for use with a 3/4-inch EMT pole. There are 32 holes drilled around the topper to easily build a 32 strand, 360-degree mega tree.